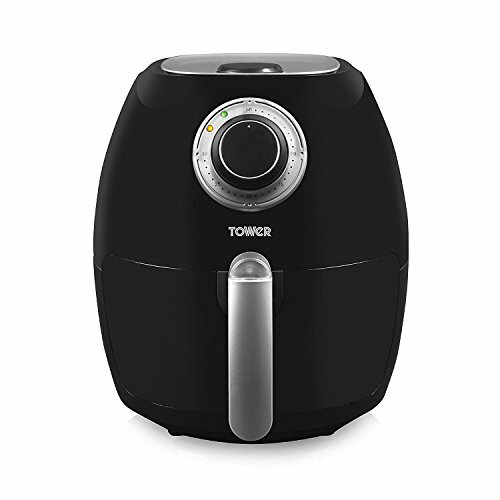 The Tower T17005 Air Fryer is an air fryer that offers a lot of useful features all in a compact and simple form factor. Air frying is a fantastic way to reduce your calories, to eat less oil and to generally improve your health and that of your family. But if you want the best results without breaking the bank, then you need be careful to choose the best product out there. 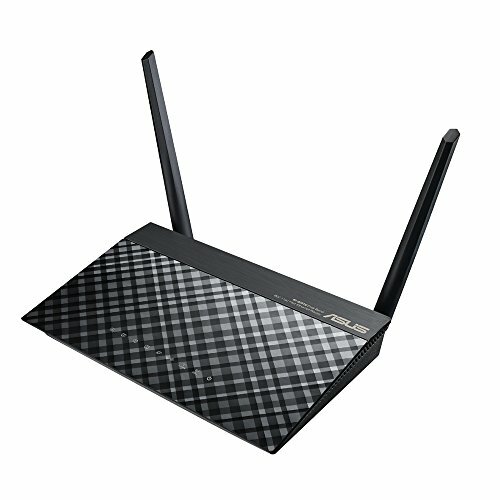 Does the Tower T17005 come close? 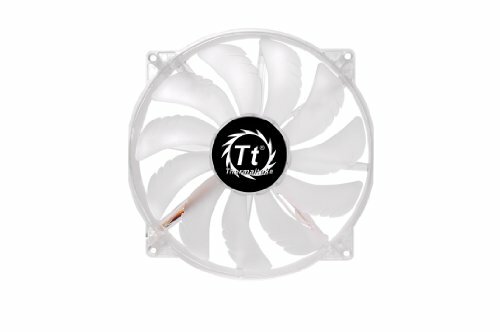 The first thing that stands out with the Tower T17005 is the very impressive capacity of 3.2 litres. This offers enough for up to five servings, making it one of the few devices that are truly family friendly. That food will cook quickly and easily thanks to the temperature control from 80-200 degrees and the simple timer. All parts are dishwasher safe for added convenience and the Alexa app makes controlling the device even more seamless and impressive. 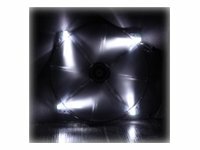 This is a highly feature rich product that also benefits from a great, sleek design and a particularly large capacity. That large capacity means that feeding entire families couldn’t be easier and this is something that many people are looking for with such a device. No LCD, but the manual controls handle almost everything you could need. 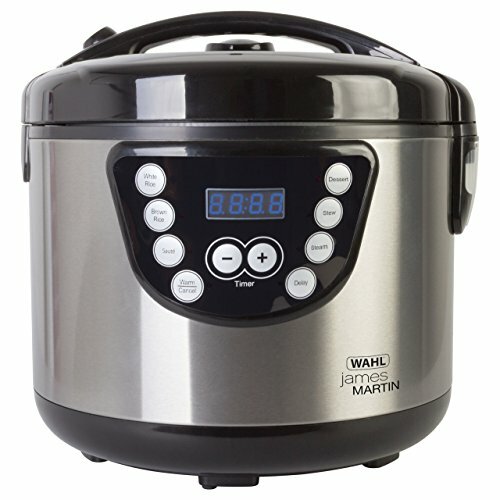 One of the most well-made, flexible and powerful air fryers on the market today. The Philips HD9220/20 Healthier Oil Free Airfryer is a fantastic value air cooker that promises to help keep you healthier and save you a lot of time and energy while cooking. Of course, the basic idea behind any air fryer is that it works by heating up the air and then using that to heat and cook the food. This is a far cry (or far fry!) from heating a pan beneath a slab of meat, as it means that you don’t risk burning the food, you don’t invite sticking and you don’t need to use large amounts of oil either. The Philips HD9220/20 offers a very impressive 800g capacity, making it well suited to small families that want to fry their chips more healthily. That said, the device itself is compact and will fit neatly into any kitchen. 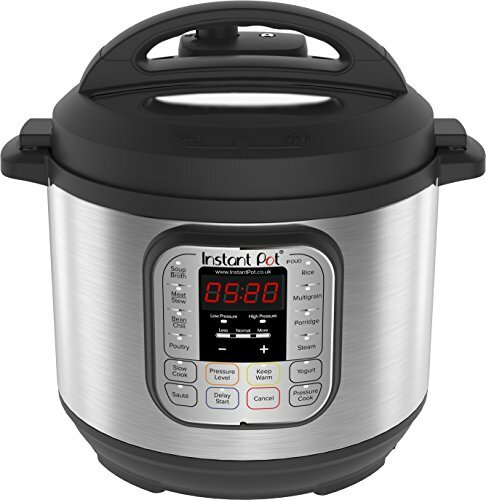 Other features include a timer, rapid air technology, temperature control and entirely dishwasher safe parts. This is a well-made device that is small and sleek and very easy to use. As an added bonus, it comes with a recipe book! That said, it is also a little more basic owing to its lack of LCD screen or programmable options. 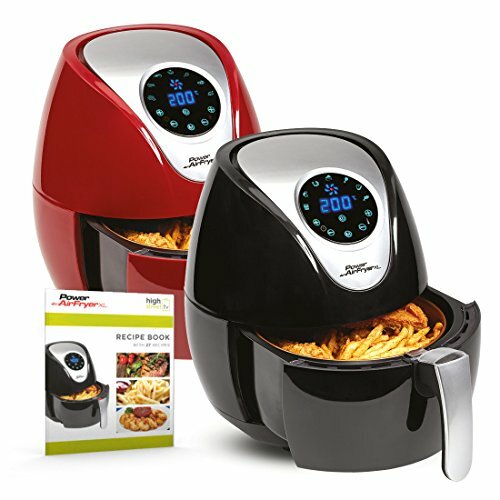 A fantastic fryer for small families that want to eat healthier, and especially those with less space in the kitchen. Air fryers provide us with a way to cook meals that don’t rely on first lathering them in fat and oil. Because the air around the food is what is getting hot, rather than the metal plate underneath it, this means that there is a significantly reduced likelihood of burning and sticking. And that, in turn, means that it’s safer for us to cook without the need for oil as a lubricant and a layer between the metal and the food. 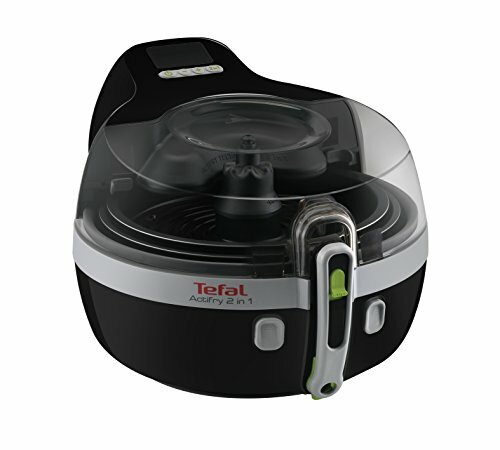 The Tefal YV960140 promises all that and more as a two in one cooker with a huge capacity. 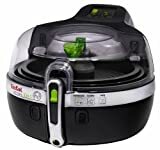 The Tefal YV960140 is an air fryer that earns its ‘2-in1’ moniker thanks to its two separate compartments and ‘cooking zones’. This allows you to prepare two different dishes at once in the same fryer, which is a limitation of many more basic fryers. Want to make chips with steak? Well, now you can cook both at the same time! Dual motion technology meanwhile uses an automatic stirring paddle to prevent the need for stirring and to provide more even results. This is a nicely made fryer with a lot of capacity and a very handy 2-in-1 feature. 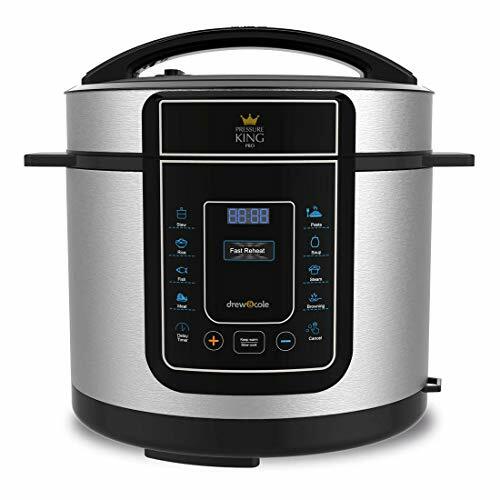 On top of this, it also offers a number of other benefits such as a start and stop timer, and more evenly cooked results thanks to that dual motion technology. With all that said, the cooker, unfortunately, lacks an LCD display. But if you can live without that, then this is a fantastic product. 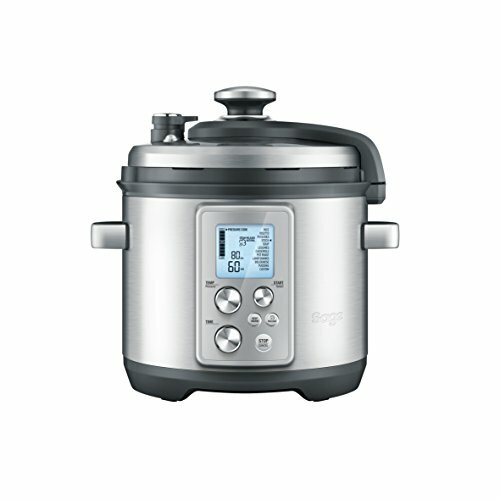 Rated as a 'Best Buy' Air Fryer by Which? 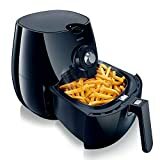 Air frying is a great way to enjoy delicious fries and other foods without having to consume huge amounts of calorific, artery clogging grease. They can save your energy bill, reduce washing up and prevent you from getting hot fat sprayed all over you! 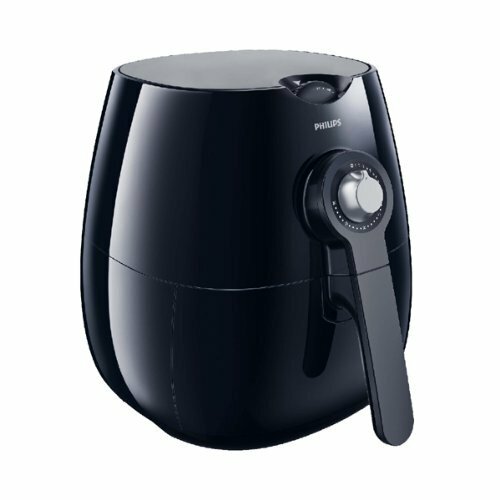 If you’re looking to get into air frying, then the Power Air Fryer XL is a great place to start. 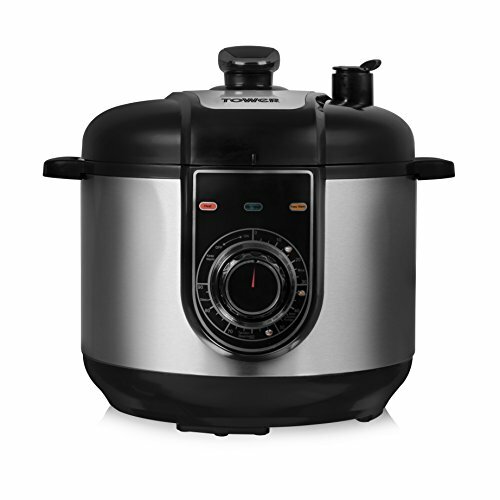 The Power Air Fryer’s main draw is the simple fact that it offers a large capacity. That ‘3.2 litre’ capacity is significantly larger than some competition which has a lot of advantages for the right user. The most obvious of these, of course, is that it can help feed larger families in fewer sittings. The fryer is also rather powerful for its small size, heating up to 200 degrees Celsius using a super-heated cyclonic air system to fry your food. There is also a touch display which you won’t find on cheaper models. 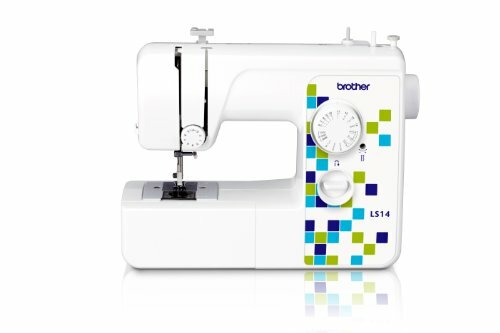 This allows for more settings and easier interfacing with the device. This device is well made and has an attractive, sleek metal body. Many pre-programmed and adjustable features make it highly convenient and adaptable, while the large capacity and impressive power of the device ensure that it will be suitable for a range of people. 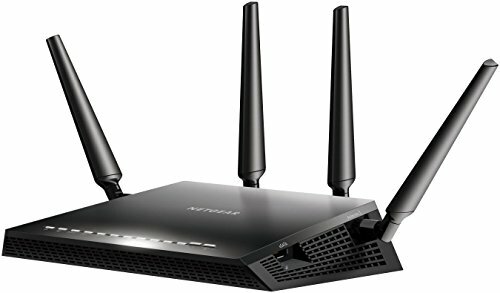 That said, there are still significantly larger models out there and there are still significantly more powerful and more feature rich options. It’s all a question of how much you need. 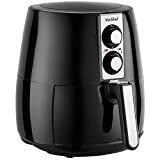 An air fryer can provide a convenient way to fry, bake and grill that doesn’t require large amounts of fat and is generally considered to be much healthier. Specifically, it can use up to 80% less fat in total compared to conventional fryers. Other benefits include being more energy efficient and safer – but not all are made equal. Let’s take a closer look at the VonChef 2.2L capacity model. 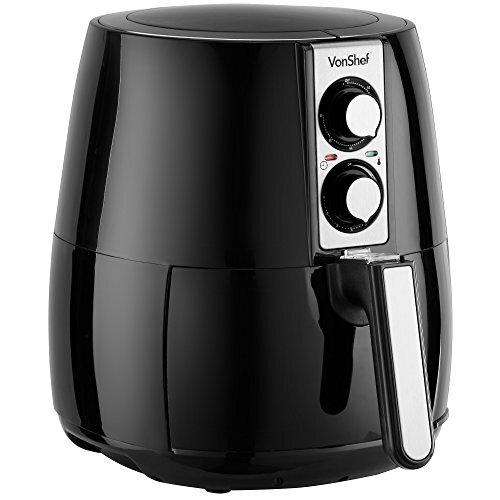 This VonShef Air Fryer comes with a moderate 2.2L capacity, which is good for cooking large batches in a single go. Chips and other ingredients are simply added to a tray which is then closed ready for cooking. Other features aim to help make the experience more convenient: including a 0-60 minute timer with auto-shut off, adjustable thermostat temperature (programmable) and more. The product has a great silver and black design that looks very premium and feels high quality. It is made from stainless steel for added durability and also features a cool touch handle to prevent burning. It also comes with a 2-year manufacturer’s warranty. Then again, there aren’t many additional features here and the capacity is only really suitable for small families or single buyers. 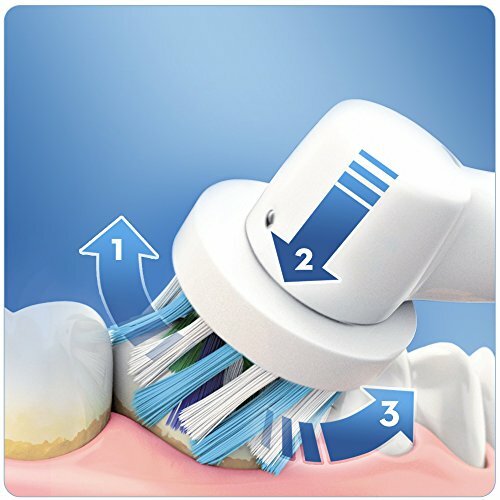 In short, the VonShef has a great design and several useful features which help to make a great product even more convenient. That said, there are several other products on the market with more options – this is more of your basic approach to air frying. Basic but certainly very capable!